Hey there everyone. Be a little lazy lately and not updating on here, but I promise to be more active from now on. 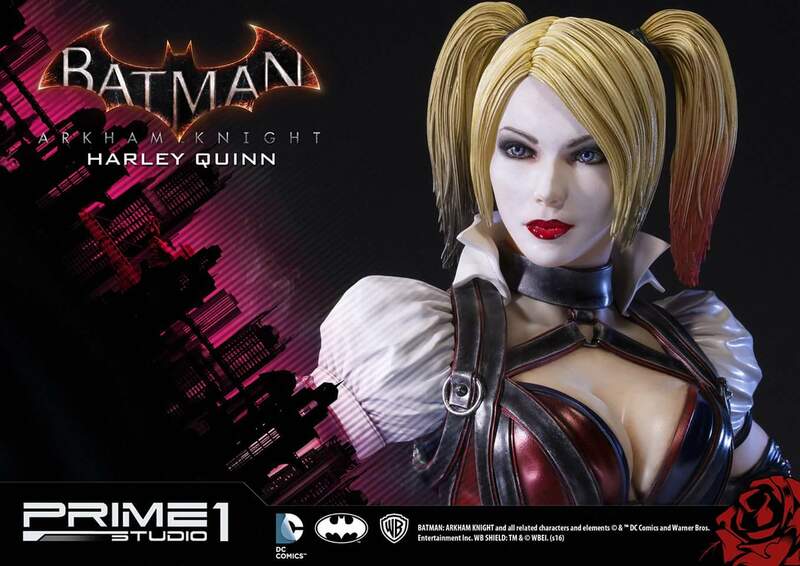 To begin here a preview of the Prime1 Harley Quinn from their awesome 1/3 Batman Arkham Knight series. Prime 1 Studio is proud to present MMDC-08 HARLEY QUINN from the Batman Arkham knight.Harley and Batman’s foes united with Scarecrow to destroy Batman and she still blamed him for the Joker’s death. Grief-stricken and vengeful,Harley brutally reasserted control of Joker’s gang as it threatened to fragment after his death. Freed from Joker’s domineering personality, Harley became a dangerous, and unpredictable new force in the Gotham City underworld.Harley fans, don’t miss your chance to own crazy of the bunch villain on your collection.